What I made: Vegetable Egg Fried Rice (with prawns) from Amazing Malaysian. My thoughts: I find cooking on weeknights tricky. 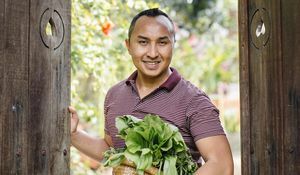 I want quick and easy, but also tasty and healthy and it’s all too easy to stick to recipes I know, mainly something with pasta or a poached egg. 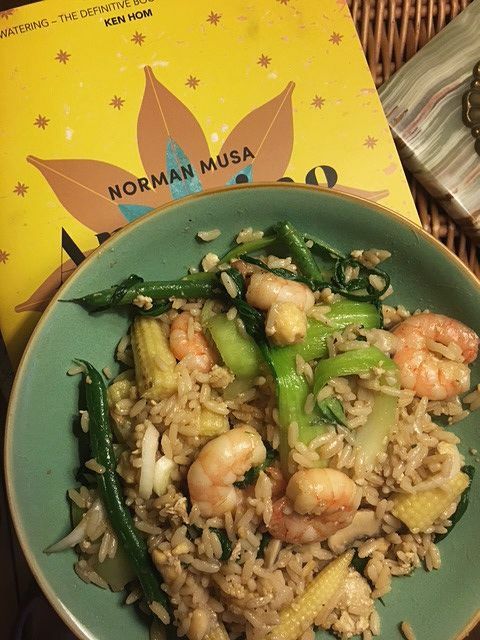 However, I can now add a new and slightly more exciting egg recipe to my repertoire after trying, and loving, this simple but vibrant Vegetable Egg Fried Rice from Norman Musa’s debut cookbook Amazing Malaysian. I have to confess that I played around a bit with this recipe, but I believe that this is one of its greatest attributes. Norman himself basically gave me the go ahead in the introduction to this dish, when he confirms that different vegetables than the green peas, sweetcorn and carrots listed in the recipe, can be used. I often have odd vegetables in my fridge, looking sad and a bit lost, so this recipe if perfect for using up those bits and bobs, and that’s exactly what I did, swapping the carrots for broccoli and the green peas for green beans. It also works well with leftover roasted veg too, so it’s a good one for a Monday night to use up anything left over from the Sunday roast. However, apart from swapping some vegetables, I also added some prawns to this dish. Not very vegetarian of me, but they were on special offer in the supermarket and I was tempted! And it tasted lovely. It’s one of those dishes that I know I’ll fall back on again and again when I want a dish full of colour, vegetables and flavour. It has more oomph than the egg fried rice you get from your local Chinese restaurant and had a warming taste from the garlic and ginger. 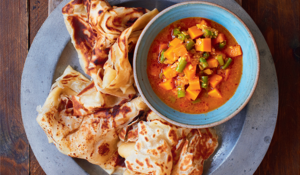 This is one of those dishes that could be enjoyed as a main or as a side and I’m keen to try it with the Chicken Satay Skewer recipe from the book and the Malaysian Flatbread. You know what else I loved about it? That it didn’t require me to buy hard-to-find ingredients or spices that I know will sit and get forgotten about in my fridge (along with those vegetables!). The most exotic ingredient required was Oyster Sauce and this is quite easy to find in most large supermarkets and can be used up in stir-fries. I can’t quite promise the dish will transport you to Malaysia but it certainly added some brightness and warmth to my dark February evening. If you're looking for a quick, tasty midweek dinner, then give this recipe a go. 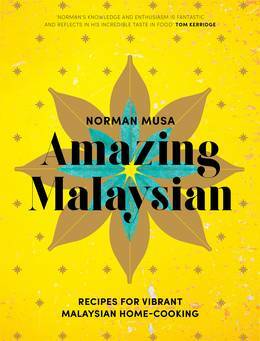 You can find it in Norman Musa’s Amazing Malaysian. And if you're looking to try more Amazing Malaysian recipes try these Chicken Satay Skewers and this recipe for Malaysian Flatbread. 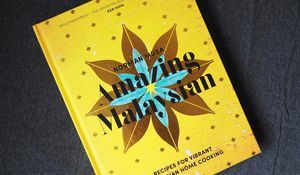 Norman Musa, author of Amazing Malaysian, gives us an insight into Malaysian Street Food plus his top picks from his book.